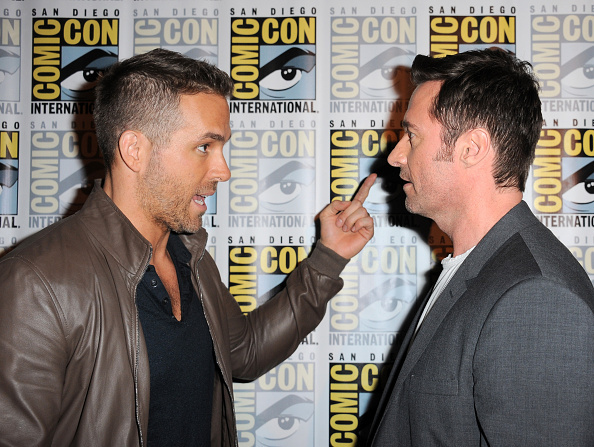 Just days after they called a truce, Hugh Jackman ripped into Ryan Reynolds by calling him ‘a complete and utter f*cking ar*ehole’. In a video shared by the Deadpool star, the two actors explained they had put their social media war on the back burner in order to make adverts for each others’ brands. They first announced the news a few days ago with a picture which showed the pair smiling and shaking on their agreement. Jackman was set to promote Reynolds’ alcohol Aviation Gin, while Reynolds would make an advert for The Greatest Showman star’s brand, Laughing Man Coffee. Reynolds’ advert was made up of a range of shots, telling the story of Laughing Man Coffee from the selection of the beans to the moment it’s served up in a shop. There was information about the different ways the company helped others, with the actor’s voice over explaining it ‘lifts up communities around the world, in the form of housing and scholarships’. Finished off with a few puns referring to the owner of the company, along with kind words about Jackman, Reynolds’ advert couldn’t really be faulted. Then came time for the Wolverine star’s advert promoting Aviation Gin, and it’s safe to say it wasn’t quite as complimentary as it could have been. Looking majestic on an ornate leather seat, the 50-year-old appeared on screen with a bottle of Reynolds’ creation in front of him. Ryan Reynolds is a complete and total f*cking ar*ehole. While the ad wasn’t off to a great start, Jackman did go on to offer some form of promotion for the product. The gin’s pretty great though, I’ll have to try it some day. The actor then proceeded to kick poor Reynolds while he was down and empty the bottle over the table. With the truce clearly over, I’m sure it won’t be long before Reynolds gets his own back!